We specialise in servicing & supplying new Concept 2 and WaterRower indoor rowing machines, our combined experience and knowledge of these machines is second only to the companies themselves! We offer a 12 month guarantee on everything we do from serving to sales and accessories. RowGear has been trading successfully for 17 years and we are a small family run firm. Everyone on the team is either an ex or current high level rower and has hundreds of hours experience using and servicing rowing machines. We know how it should feel to sit and row on a machine which is a specialist knowledge larger companies can’t compete with. rowed for Leander Club and represented and won medals for Great Britain at under-23 level in each of the years 2009, 2010 and 2011. 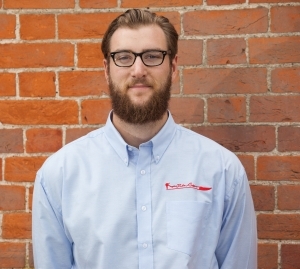 In October 2012 he was selected for the GB senior squad and later represented GB at senior level achieving a 5th place at the European Championships and 3rd at the Hansa Cup before a back injury necessiatted retirement from top-level rowing. 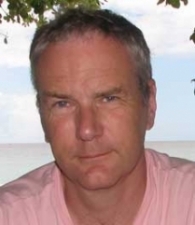 rowed and coached recreationally, was formerly ‘boatmaster’ of his rowing club, responsible for maintaining and repairing boats and rowing machines and has many years experience of running a business as well as a degree in Mechanical Engineering. is the newest member of the team. 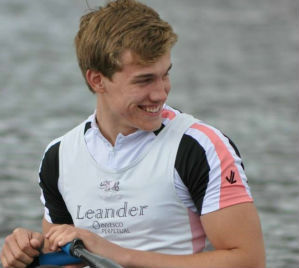 He rows at Leander club in the elite development squad and is aiming for Great Britain selection. Sitting on a rowing machine six days a week for training means Chris knows exactly how the machines should look and feel before they leave the workshop. Rowing Machines are supplied by Rowgear with a 12 month parts warranty, effective from date of receipt by Buyer. Any part that fails or wears out or is otherwise found to be defective in operation, will be replaced free of charge, including the cost of delivery to the Buyer. Rowgear will provide all reasonable assistance to the Buyer to effect the replacement of such parts, including provision of verbal and written instructions, however the cost of visiting the buyer and labour costs are not included in the warranty. If the equipment is returned to and collected from Rowgear at the buyer’s expense then labour costs will be provided free of charge. Electronic equipment including the Performance Monitor is guaranteed against failure for 3 months from date of receipt by Buyer. Warranty does not cover damage caused by breakages (e.g. broken screen) nor by leakage from batteries. Rowgear recommend the use of good quality batteries in electronic equipment, which should be removed if the equipment is not to be used for any significant period. All equipment is supplied with a numbered warranty sticker to identify it uniquely in our records. The warranty is invalidated if this sticker is removed. We are always happy to take your old rowing machine in part exchange for a newer model. Please contact us with details and the age and condition of your machine, and which model you wish to upgrade to. We no longer sell or purchase Model B rowers but will happily keep a list of people wishing to sell to pass to anyone wishing to buy and supply and advise on parts and fitting. Similarly we get many requests to upgrade to a better monitor. We can supply new PM5 monitors at a price equal to that offered by the manufacturers. PM2,3&4 monitors are no longer made,so will always be used units. Used PM2/3/4 monitors are quite rare and if you are seeking one of these a significant delay may be incurred. We have become very busy with servicing work and took the decision to focus our time on this and winding down the refurbishing side of the business. As we no longer refurbish used equipment we are not in the market to purchase used machines outright. We would still be happy to take machines in part exchange and supply new machines. We do have a trustworthy contact who purchases and refurbishes equipment and if you are interested in selling your second hand rowing machine please get in touch via the contact formant we can put you in touch. We specialise in only Concept 2 & WaterRower machines as we know there machines can stand up to the heavey use of rowing clubs, schools and universities. We offer a 12 month guarantee on all our work and machines supplied by ourselves. Our full service is second to none and we are confident your machine won’t need looking at again for atleast another 12 months. We are a small family run firm that aims to please you and we are always happy to work with you to provide the servcie that fits your needs and your budget.